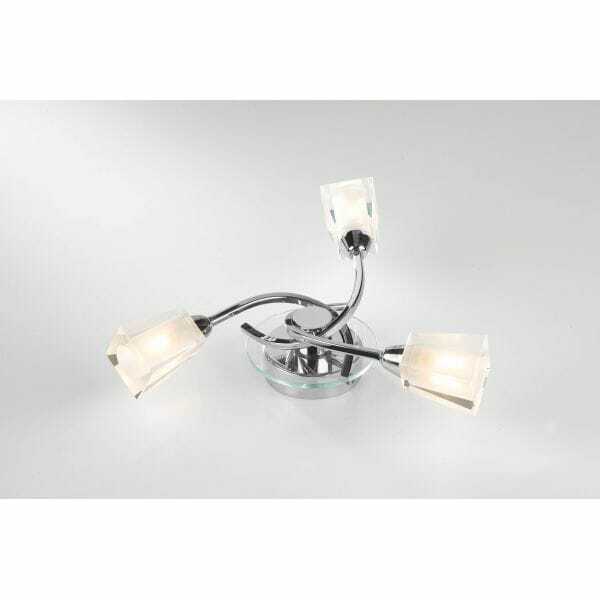 Dar Lighting Austin 3 light ceiling fitting features a nest of swirling arms that create a very stylish and contemporary semi-flush frame. These arms are topped with clear glass, cubed shades with frosted inners that add a soft and warm touch that is complimented by the polished chrome finish. The product code for this Dar ceiling fitting is AUS0350. A playful and creative item designed for contemporary homes and tastes. Please see our website for the entire Austin range which includes a smaller 3 light semi-flush ceiling fitting, a 2 light wall fixture and table and floor lamps. Many of these items are also available in black or polished chrome finishes and all are available to order direct from our website.